Truck drivers and sleep apnea – the need to get treated in order to remain active. How do you get them to receive diagnosis and treatment? Many don’t want to seek a diagnosis because they are afraid they will lose their job. And, when a person suffers from sleep apnea, it can significantly impact their driving ability. Many truck drivers suffer from sleep apnea, but do not even realize it. This is where the Feds are stepping in to require treatment and testing. Do you agree? 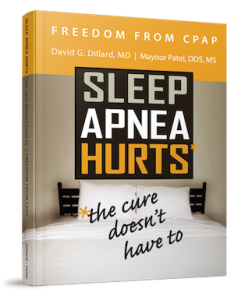 As we already know, sleep apnea affects sleep. However, it can also affect daytime alertness and performance. If sleep apnea is untreated, it can make it difficult for a person to stay awake, focus their eyes, and react quickly while driving. Many studies have been conducted to show the negative effect sleep apnea has on driving. Sleep apnea increases the risk of a driver being involved in a fatigue-related car accident. While many patients suffering from sleep apnea might say they never fall asleep driving, it is important to remember that a person doesn’t have to fall asleep to get in a crash. By being less attentive or alert, people can still be involved in a motor vehicle crash. Yes, people with sleep apnea can still operate motor vehicles. However, it is vital that those people get treated for their sleep apnea in order to avoid negative effects. Once sleep apnea is successfully treated, a driver can regain a medically qualified to drive status. With most cases of sleep apnea being successfully treated, it is important to remember that we can help our patients. Each state has its own medical standards set for truck drivers, which is why it is important for patients to understand the regulations for their states. It is important for truck drivers (and everyone in general) suffering from sleep apnea to receive a diagnosis and proper treatment before getting back on the road. To learn more about this, please contact my office or visit my website at www.mpateldds.com. As dentists, we can help truck drivers remain active and on the road.